Our live events range from local charities to large concert halls and live television performances. 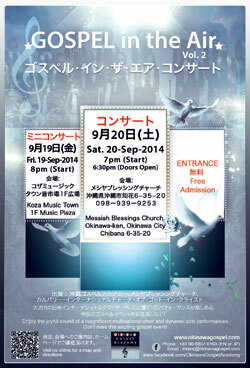 Please check our site for information on future concerts and tours planned for the Okinawa Gospel Academy Choir. 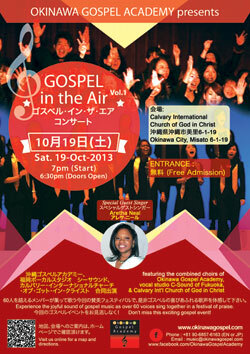 Featuring the combined choirs of Okinawa Gospel Academy and Messiah Blessings Church with special music from Calvary International Church of God in Christ. Featuring the combined choirs of Okinawa Gospel Academy,vocal studio C-Sound of Fukuoka, & Calvary Int’l Church of God in Christ. Experience the joyful sound of gospel music as over 60 voices sing together in a festival of praise. Don’t miss this exciting gospel event! See back side of flyer for schedule of workshop and for joining this dynamic choir. Experience the joyful sound of a magnificent gospel choir. 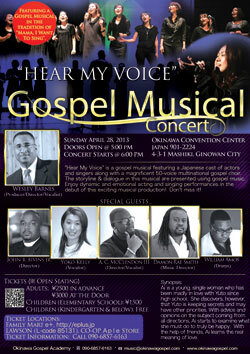 Also enjoy dynamic solo performances in the premier production of “HEAR MY VOICE” gospel musical. 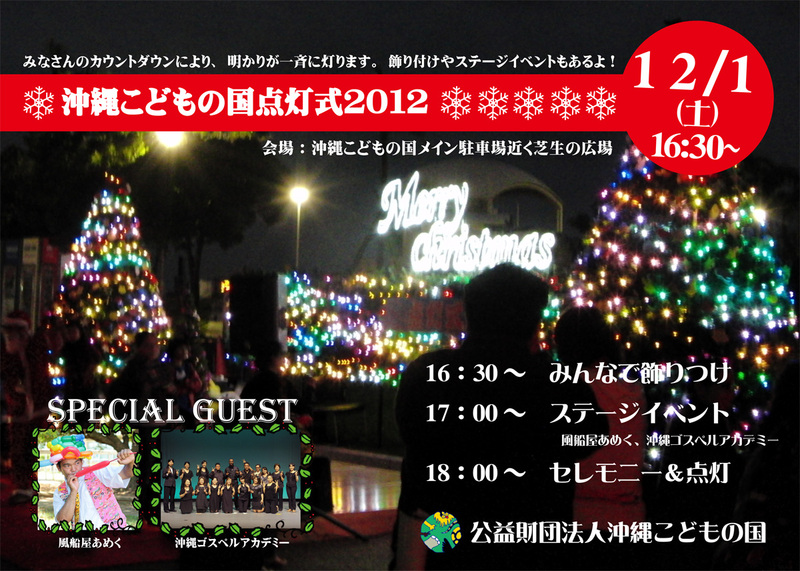 This special lighting ceremony is designed to usher in the Christmas season. Visitors can participate in a mass countdown. At the conclusion of the countdown, the lights will turn on simultaneously. This event will also include Christmas tree decorating and stage events. 「Thank You」- Thanks Stage is a special celebration to show gratitude to fathers, mothers, and senior citizens in association with the official Japanese holiday, Respect for the Aged Day (Keirou-no-hi 敬老の日). The holiday was established to recognize and thank elders in the community for their contributions to society and to celebrate their long lives. 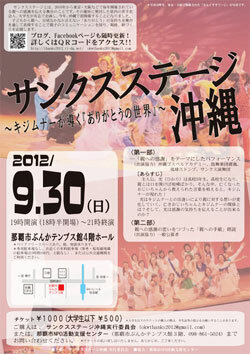 The Sep 30th Thanks Stage event will include a variety of singing and dancing.